In this post, we’ll look at some of the main reasons why customers don’t complete the checkout process after adding items to their cart. We’ll also go over some actionable steps you can take to optimize your checkout process for conversions and reduce shopping cart abandonment. Shopping cart abandonment is when shoppers add products to their carts but leave the website without completing the checkout process. Security. A lot of the time, customers abandon carts due to concerns about payment security. It might be because your checkout page has an outdated design or you haven't installed an SSL certificate. 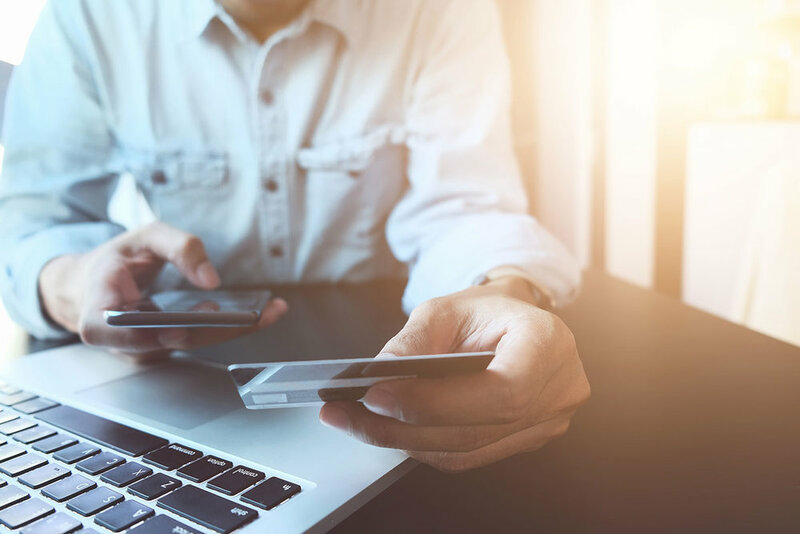 According to a ReadyCloud report on cart abandonment rates, 18 percent of shoppers reported leaving without completing the purchase because they didn’t trust the site with their credit card. Complicated checkout process/form. According to the same report, 27 percent of customers said that a lengthy, complicated checkout form led them to abandon their carts without completing the transaction. Designing a simple, and intuitive checkout process and form can help you reduce your site’s cart abandonment rate. No options for guest checkout. Another common reason behind shopping cart abandonment is website’s that require the customer to register or sign up to complete the purchase process. In fact, more than one-third of the shoppers reported that the reason for abandoning shopping carts was because the site wanted me to create an account. Costs (hidden costs, shipping costs). Customers abandon shopping carts due to hidden costs including taxes, surcharges, and shipping fees. Sixty-one percent of customers shared the same opinion when asked why they abandoned an online purchase during the checkout process, while 24 percent said that they couldn’t see the total order cost. … can help you improve your online store’s conversion rate. Many online stores have a complicated and lengthy checkout process which results in shoppers getting frustrated and leaving without completing their purchase. Contact information (i.e., an email address). Billing information (i.e., payment details and address). Requiring new customers to register before completing their purchase will slow down the checkout process and increase your store’s cart abandonment rate. However, if you absolutely must create a user account for them, clearly explain the benefits of signing up with your store. For example, you could let them know that they can track their orders, reach out to customer support, or receive special discounts. Best practices indicate that you should always collect registration information after the customer has completed their transaction. Offer a guest checkout. Allow prospective customers to make purchases using a guest checkout option. You can give them the opportunity to create an account once they’ve completed their purchase. Make it easy for customers to create an account. To register new customers after they’ve completed their transaction, you can automatically create an account for the user. All you have to do is ask them to set a password. Remove unnecessary fields in your checkout forms. These include optional fields that aren’t needed to place the order or complete the transaction such as their phone number, middle name, birthdate, or business name. Give customers the option to set their billing address the same as their delivery address. Doing so allows customers to save time by not having to enter the same details again. You can do this simply by adding a checkbox to your checkout form. Online shoppers want to know the exact cost of the products they’re interested in purchasing. As we discussed above, one of the primary reasons why people abandon shopping carts is because they’re not informed about the total shipping costs before they reach the checkout page. Display all costs on product pages. Clearly display the shipping costs and return policy on each product page. In other words, make it easy for customers to access this information before they arrive at the checkout page. Mention the different factors that affect pricing. Shipping costs often depend on various factors like the shipping destination, product weight and size, and the total cart order. Letting customers know all the factors that could affect the final price will make your checkout process more transparent. Give a clear breakdown of the total price. Include shipping costs, taxes, discounts, etc. If customers notice any discrepancy in your pricing, they’ll be more likely to bounce without completing their purchase. List available shipping options. Inform your customers about all the shipping options and their charges. Doing so allows them to choose a solution that best fits their requirements. Display security badges. Consider displaying security badges like GeoTrust or McAfee to act as trust signals. Doing so lets customers know that you’ve taken sufficient safety measures to protect their payment information. Install an SSL certificate. You should make sure that your website has an SSL certificate. It tells your customers that your website is encrypted and that their payment information is secure. Integrate one-click payment gateways. You can also use one-click payment gateways – like PayPal and Payoneer – to handle your online payments. A trusted, and secure payment gateway will also help you convert mobile users, as they are most vulnerable to security intrusions. According to Metapack Consumer Report, 70 percent of online shoppers expect to pay extra for fast delivery options. What this means is you can convert more prospective customers by offering affordable shipping and two-day delivery options. 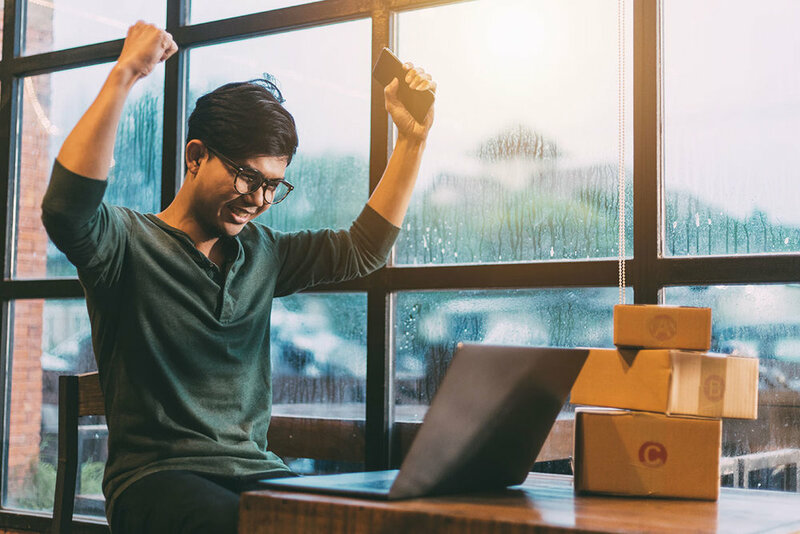 As an online store owner, you may consider offering customers fast and competitive delivery options by working with a fulfillment provider like Fulfilment by Amazon. Doing so makes it possible to deliver products to customers quickly by storing your inventory at a warehouse closest to them. The same report suggests that 75 percent of customers expect all delivery options to be displayed on product pages, while the same number have purchased more items to take advantage of a minimum spend ‘free delivery’ option. Amazon and FedEx have raised customers’ expectations of fast and affordable shipping and have forced other delivery platforms to reduce their charges. As more e-commerce shipping services are penetrating the market, customers and vendors can choose solutions that best fit their needs. Take another look at your checkout process and form to make sure you’re only asking for essential information and offering a guest checkout option. Be more transparent with costs including shipping and handling charges and the factors that affect pricing. Deploy secure payment options and let customers know their payments are secure by displaying security badges and installing an SSL certificate. Offer two-day delivery options (at affordable prices) to encourage customers to complete their purchase.